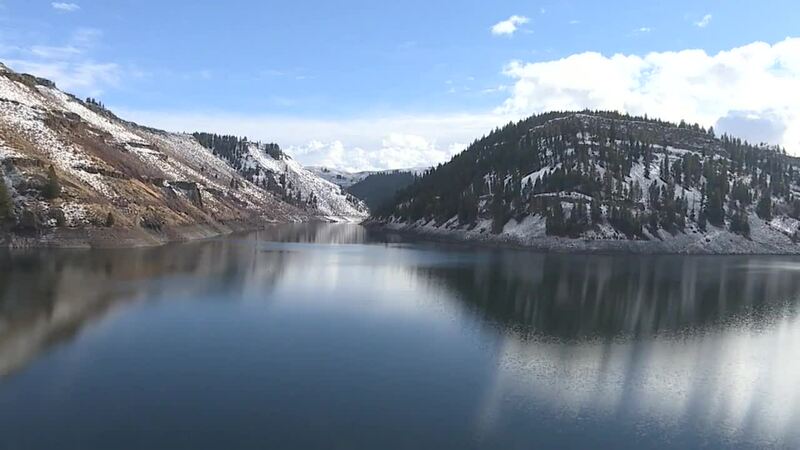 BOISE — The Idaho Department of Water Resources approved a controversial inter-basin water transfer that will allow Elmore County to pump water from Anderson Ranch Reservoir to help solve Mountain Home's water crisis. "It's the largest inter-basin transfer that has ever been approved and that is why it is such a big deal," said Marie Callaway Kellner of the Idaho Conservation League. "This is a decisive moment that says it's ok to send large amounts of water via expensive infrastructure." The reservoirs that feed the Boise River holds more than one million feet/acre of water when it is full, Elmore County applied to pump 10,000 feet/acre of flood water from Anderson Ranch Reservoir over a hill to neighboring LIttle Camas Reservoir, a plan that is estimated to cost the county $30 million. "If we don't plan for the future we are not going to have a future," said Elmore County Commissioner Bud Norbus. The water application also features 28 different conditions of approval that specify that Elmore County can not take more than 10,000 feet/acre in a year; they can only take water when there is a flood release at the Lucky Peak Dam; water can not be transferred when the South Fork of the Boise River runs below 800 CFS; and when they do receive water, Elmore County can use 50 percent of it for irrigation (the rest needs to be used to recharge their aquifer). "This water application is heavily conditioned," said Kellner. The Idaho Conservation League, irrigation companies, Trout Unlimited and the BLM have all come out in opposition of this water right. And for the Idaho Conservation League, their concern revolves around the future of the Boise River basin and what will happen in the future as the Treasure Valley continues to grow. "It's really shocking when you think about how much this community relies on the river," said Kellner. "It is not just for irrigation and the water in our homes, but also for quality of life." Both sides have one week to appeal the Idaho Department of Resources decision on the water rights application.